At this year’s Paris Motor Show Infiniti unveiled the updated INFINITI QX Sport Inspiration concept, an elegant and powerful expression of progressive SUV design. 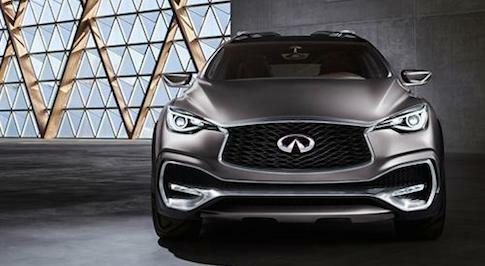 First debuting at April’s Beijing Motor Show, the daring new concept lays down markers for the design of future INFINITI QX models, and explores the brands vision for a next-generation premium SUV. Since its initial reveal the QX Sport has received a design update, with the exterior colour altered to matte grey, and wheels expanded to a larger 22 inches. The wheel trims were also given a colour update, now in a striking bronze colour with matching brake callipers. The QX Sport Inspiration is characterised by flowing lines and advanced craftsmanship, displaying an elegant yet powerfully proportioned exterior. The interior is spacious and beautifully appointed, with kick plate lighting at the base of every door. Although displaying a sleek and predominantly black and white palette, the addition of tan and brown leather adds a touch of natural colour to the Inspirations interiors. 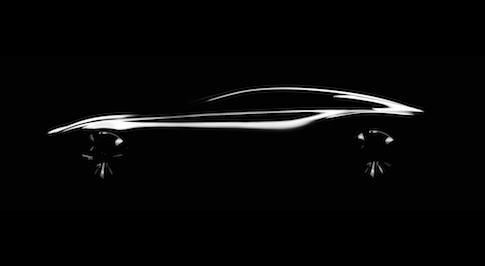 Speaking about the future of the concept, Executive Design Director Alfonso Albiasa commented that the influence of the Infiniti QX Sport Inspiration will make its way into the Infiniti portfolio “in shows to come”.